Have you ever wondered how highly successful people are able to create such extraordinary results in their lives – and in a fraction of the time that it takes most others? Well, one of the secrets to their success lies in how they choose to begin each and every day. While most of us are content to simply roll out of bed and begin our days on autopilot, highly successful people are aware that the way they choose to begin each morning sets the tone for the rest of the day. The following are five morning habits of highly successful people (and actually practices that I’ve been using for a long time myself), and ones that you can model after if you so choose. Highly successful people train themselves to wake up early. They know that just a little bit of extra time gives them an extra edge. If you find that it’s challenging for you to wake up earlier, I have good news for you. You can slowly train yourself to do it! To get started, set your alarm clock for 30 minutes earlier than you usually wake up. For example, if you’re used to waking up at 6:30 in the morning, set your alarm clock for 6:00. Waking up just 30 minutes early creates time for you to invest in yourself and set some intentions. If 30 minutes earlier feels like too much of a challenge, start by waking up 10 minutes earlier, and increase the time gradually every week. The point is, every little bit helps. After you use the restroom and maybe drink some water, sit for 2-5 minutes in silence and tune into your own breathing. Tune in to how wonderful it is to be alive today. Remind yourself that this day will never happen again. Next, ask yourself what you want to make matter to you today. When you put your head on the pillow tonight, what will have mattered to you? Whatever word you use for how you enter into and experience the silence, whether that’s meditation, prayer or any other word, sitting in silence allows you to commune with the power that’s breathing you. If you keep earning roughly the same amount of money year after year, and you’re ready have a breakthrough in this area, and make this year the year that you break through your glass ceiling..
After you wake up a little early and take a few minutes to be still with yourself, take a few moments to write down who you’d like to be for the day. Most people simply write out their to-do lists. Highly successful people write to-do lists, too, but they start with a to-BE list. So, who are you going to BE today? Maybe you’d love to be resourceful. If you’re facing something that has you a bit jittery or you’re concerned about it, then why not practice being courageous or creative? Write down 2-3 words for who you want to be, and then elaborate on each a little bit. Then list 3-4 things that you’d like to DO. There are most likely MANY things you’d like to do, but list out the top 3-4 that are most important to you. Journaling is a well-researched activity that boosts your creativity. There’s also increased coherence in your right and your left brain when you write down what you envision. The fourth morning habit is to think of five things you’re grateful for. These things don’t have to be big. They can be as simple as enjoying the cool air on your face or that you turned on the faucet and clean water came out. Or that you’re breathing without a machine. 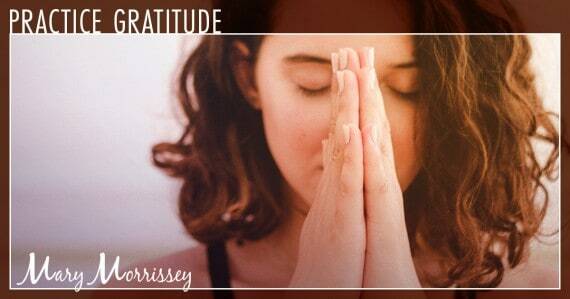 Research shows that practicing gratitude actually changes your biochemistry. When you spend a few moments each day to list five things that you’re grateful for, your reticular activating system will then notice things you can be grateful for all day long. 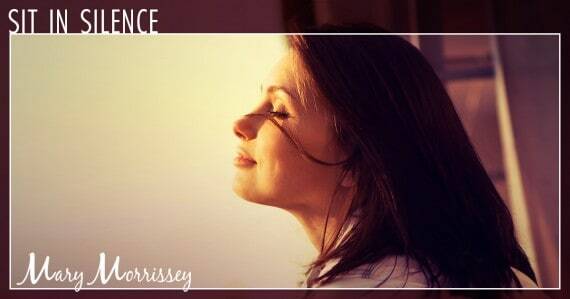 Gratitude is the frequency that’s harmonious with abundance. You will have a much more abundant day by tuning yourself to being grateful every morning. One day, I called a longtime friend of mine, Gay Hendricks. Gay is an amazing teacher of transformation, has written over 30 books and is the founder of the Hendricks Institute. I thought about all of the people stuck in traffic on the 405, who were most likely feeling resentful and angry for having to wait, and here was Gay Hendricks in exactly the same situation, only he was building a monastery around him. Gay knew that since he was going to be edging along in traffic, he might as well create a pleasant experience rather than resisting the situation and feeling resentful. This type of attitude and perspective is available to every single one of us – including you. Each morning, almost every one of us gets dressed, makes breakfast and/or drives to drop the kids off at school and go to work. Why not spend some of this time listening to something that inspires us and makes us feel good? Whether you listen to music, a favorite podcast or an audio book, listening to something that uplifts you results in an expanded vibration. So, not only will you have a vision for your day, you’ll also have a vibration to match. It’s extremely important to fill your mind with life-giving information. When you do, you’ll feel great, you’ll progress and you’ll be supported in becoming your best self. We all have moments we’d rather not experience, but why not turn those moments into something that really matters to us? The examples listed above are just some of the powerful morning habits that highly successful people incorporate into their daily routines. So if you’d love to accomplish more in less time and feel more alive, then I invite you to participate in a seven-day experiment. Either choose just one of these habits or employ all five. Sit in silence for 3-5 minutes. If you could only incorporate one of these morning habits, which one would you choose to make part of your daily routine for the next seven days and what might actually happen if you do? Let me know what happens for you in the comments section below. Enjoy! 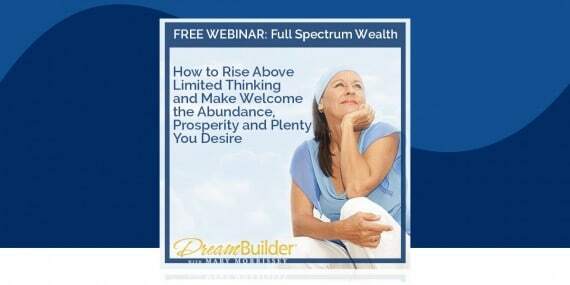 The secret to true fulfillment is to create abundance in all areas of your life. This is what’s known as Full Spectrum Wealth. And how to create this for yourself is exactly what you’ll discover on Mary Morrissey’s groundbreaking online workshop! 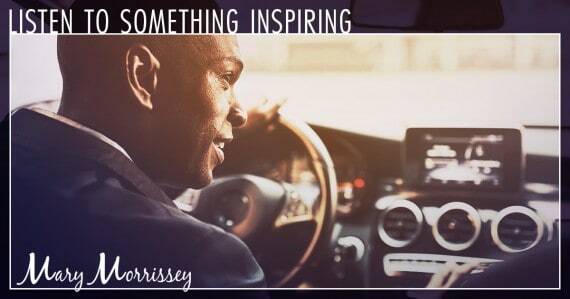 I already practice gratitude and listen to something inspiring when I’m driving. I’m looking forward to incorporating the other 3 habits. Thank you! I love how this is all structured in the morning. I generally do gratitude’s throughout the day. I normally have my “me time” in the morning, and have incorporated the Morning mentor in that time. I do need to take more time to be “still” and in quite, prior to anything else. I journal later in the day but would like to incorporate journaling in the morning.Over the last couple of weeks I would occasionally listen to an inspirational song before my day starts, when I think about those days, they were pretty awesome! I am more than willing to do all of these things first thing in the morning, sounds empowering, thanks, Mary! This is very good. If a person wake up then how immediately he or she becomes fresh and energetic ? I’ve been practicing the 5 items to fo in my mornings. I truly appreciate your help and support. I will be living my Dream by doing all 5 things each day for 7 days and everyday after! I love this Mary Morrissey. It is a good trend and some what a restful idea. It is tiresome to be always huryng yet sweating all through with no time for yourself. When you practice gatitide,it is all about you and thankfulness for a step ahead. I have found that praying to a Living GOD rather than a “ceiling meditation” to self the ONLY way to go. He has infinite wisdom and power…our Creator of this whole universe. Self meditation is only looking to self for answers and we have finite minds. We need to trust in our Creator rather than ourselves for He gives us our very breath and heartbeat. I am a born again Christian where Christ has entered my heart.